Speaking to Iowa public radio last week, Mrs. Clinton sought to lay the responsibility for her own irresponsibility on someone else. Clinton history is replete with partial answers followed by questions, followed by more half-truths, accusations and prevarications, wiggle-wording their way around the rabbit hole. 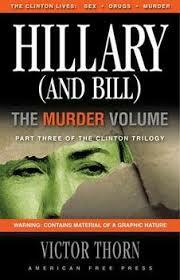 It is a favored Clinton strategy which is often conjoined with coordinated attacks upon the accusers. The objective being, to run out the clock. To what end, though, the Presidency? Is American electoral math so screwed, skewed and unbalanced that all Mrs. Clinton has to do to win the job she believes she was born to do is to not be arrested? Former President Bill Clinton, his fixer Vernon Jordan, and President Obama just completed a golfing weekend. Reports that Mr. Clinton was seen waving his arms and gesticulating wildly, leads this blogger to wonder whether or not Clinton was trying to apply some leverage, especially given Mrs. Clinton’s statement just a day or so earlier that she was “permitted” to use her own private e-mail server. Again, I ask, “Permitted by whom?” The United States Secretary of State reports directly to The President. 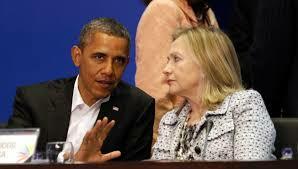 That is, unless the friction from the 08 campaign prompted Obama to put a filter between Mrs. Clinton and himself. It wouldn’t be a great leap to assume that filter would be the President’s Chief of Staff. Is Rahm Emanuel about to be hung out to dry? There have now been 305 documents identified as having sensitive data by the State Department, a hit rate of just over 5% out of a 20% sample size. That extrapolates to over 1,500 possible secret documents that are most likely in the possession of the country’s enemies. Who the heck needs Ed Snowden? I don’t think, Mrs. Clinton is going to be arrested. History suggests the same. History may not repeat itself, but if it echoes, maybe we will see the ghost of Cap Weinberger incarnated with the indictment of Rahm Emanuel for permitting Mrs. Clinton to blazenly violate National Security, right on the eve of Election 2016. It would be a stereotypical Clinton victimhood manuever. Plus, she would get the added leftist pleasure of scapegoating a Jew. Update: Wouldn’t you hate to be Treve Suazo, the CEO at Platte River Networks right now? Especially with the report out there that a backup of Mrs. Clinton’s server exists? You might want to take a stroll down Arkancide Blvd if you don’t know what I mean. Plus, he’s a Jooooooooooooooooooooo !!! Filed under: Democrat Corruption, Election 2016 | Tagged: Cap Weinberger, Hillary Clinton, Paul Fray, Platte River Networks, Rahm Emanuel, Treve suazo, Vernon Jordan |	Comments Off on Does Hillary Hate Jews? Everyone, by now, has heard of the IRS scandal concerning conservatives groups prior to the 2012 election. Thanks to Judicial Watch we now know this was an administration wide effort and was far more draconian than previously known. A previous report had demonstrated that the DOJ and the IRS were targeting conservative non-profits and in April there were more emails that demonstrated the collusion of the Holder Justice Department and the IRS to actually jail opponents to Barack Obama. This is new to me, but sadly doesn’t surprise me in the least. It is quite typical of the tyrannical mindset of President Jughead and his partners in crime. Also, at this point, we cannot say it was only politically conservative groups that were targeted by Jugheads criminal enterprise, it apparently was any group/person opposed to the administration’s goals. Seriously, that was the position of this administration, which was also repeated in court. The Judge was not pleased at all. I grow weary of Jughead and his bandits, never a day goes by without some new information revealing how little they concern themselves with not only the law, but in doing what is best for America. It won’t be much longer(Thank God) that this administration comes to an end. We can only pray and try to get an administration that truly cares for this country and the rule of law. What happens when a Democrat loses Politico? …. 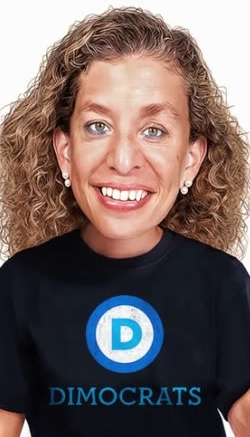 DNC Chair Debbie Wasserman Schultz(D-Fla) has been caught with her shorts in a wad, as her behind the scenes squabble with trial lawyer John Morgan burst into plain view on the digital pages of Politico. Morgan promoted and funded last year’s failed attempt at legalizing weed in Florida to the tune of $4 million of his personal funds, only to be opposed by Debbie. She committed the unpardonable sin by using Republican talking points to loudly rail against Morgan’s bill. Now that Debbie is making noises about running for Marco Rubio’s Senate seat, the chickens are coming home to roost, and DWS is trying to make nice. Morgan is having none of it. He forwarded the email chain to Politico, and it’s all out in the open now. Schultz’s office offered to change her position on medical marijuana if a major Florida donor recanted his withering criticism of her. …. I have a feeling that the pot bill will pass this time around, with or without Debbie’s support. 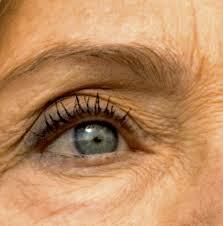 But her chances of lining up with the big time lawyer money for a Senate run have taken a serious downward turn. He’s better at parsing words than Bill Clinton. Quite an accomplishment, that. Lately, he seems to be slipping. 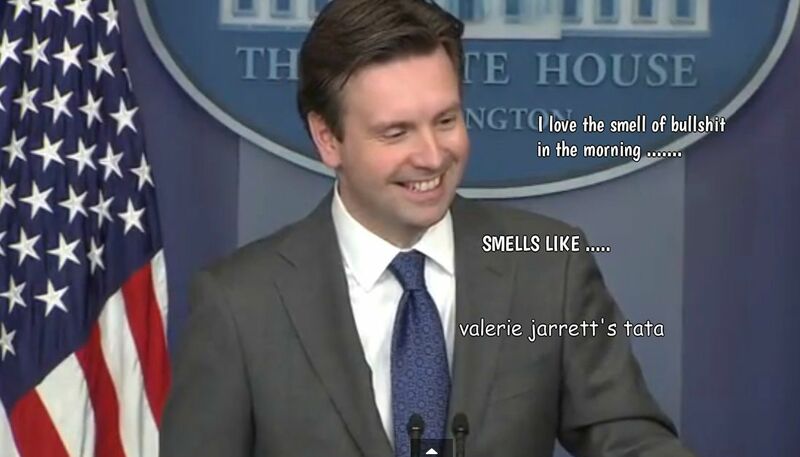 I’m talking about White House spokeshole Josh Earnest. He lies. You know he is lying. He knows you know he is lying, and, he makes no effort to try and make you believe that he’s not lying. He used to do that; make you think he was on the level, trying his best to get the facts straight, the truth out. Now, he’s just a lying turd. A big one. I had to really parse this one to make some sense. Then it hit me. How many of you actually get a tax bill? Very few. We voluntarily comply, fill out the forms, write the check, and curse the bastards for their spendthrift ways. Right? We don’t get a bill, unless we get an audit. And most of those are the letter variety anyway. So, Earnest is technically telling the truth. Millions of Americans aren’t going to get a whopping tax penalty bill this year. Nope, they’ll simply pay it on April 15, or have it deducted from any anticipated refund. What a turd. Eat it Josh Earnest. And your boss too. 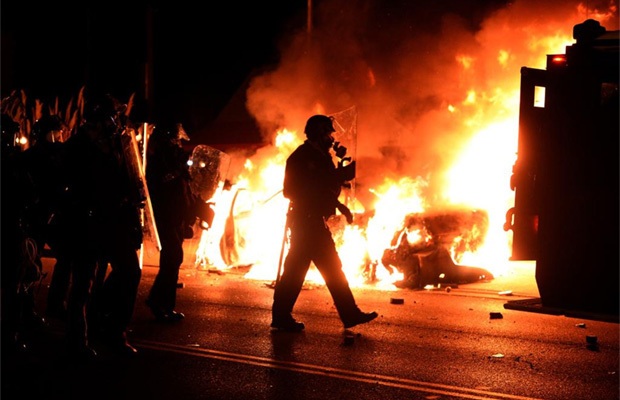 Mike Brown supporters, whipped into a frenzy by the race hustlers and communist agit-prop groups have shown that they not only condone strong arm robbery and resisting arrest, but also arson, looting, and general mayhem. 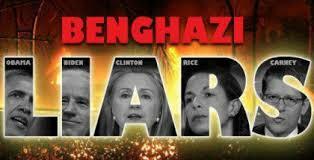 Is it time to add pre-meditated murder to their list of criminal behavior? First it was Deandre Joshua who was found dead of a gun shot wound, his vehicle torched. Now, Shawn Gray, 23, who also testified in the Ferguson grand jury has been found dead.